The most private and spacious of all the villas designed for couples is The Royal Retreat (1000 square feet/90 square metres). 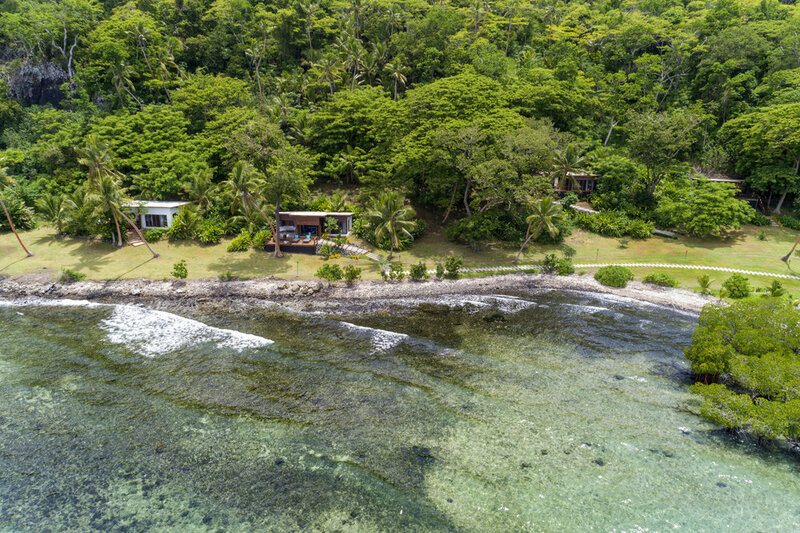 Located at the far end of the resort ensuring the utmost privacy with direct ocean views. 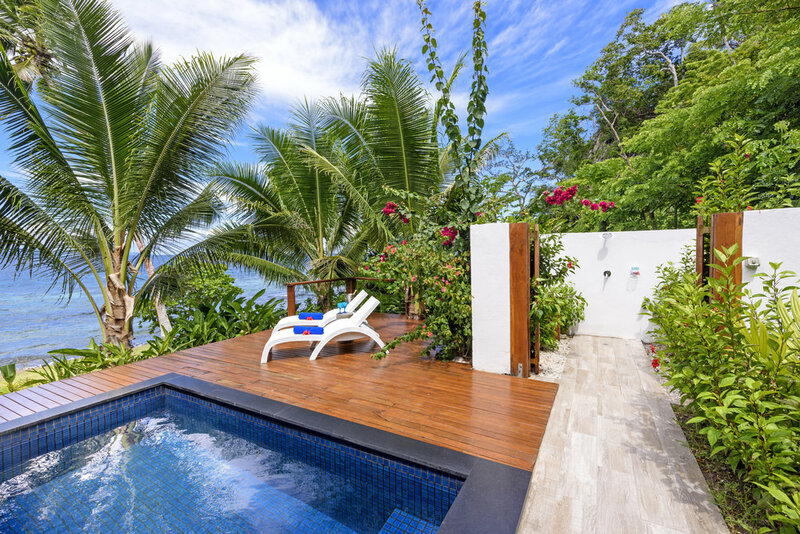 Similar to the Oceanfront Retreats, the Royal Retreat is a modern beach retreat, featuring wood-look tiled floors, spacious deck, air-conditioned bedroom, luxurious indoor bathroom, large plunge pool, sun lounges and an outdoor daybed. In addition to the features of the Oceanfront Retreats, The Royal Retreat offers a larger bedroom creating a more spacious indoor lounge area as well as a private outdoor shower (in addition to the indoor shower and bathroom). 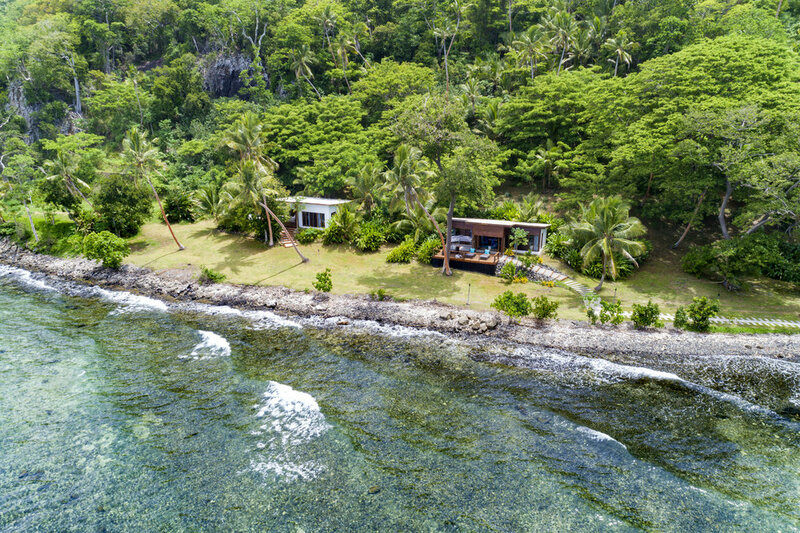 Located just steps from the ocean creating your own little private slice of paradise to enjoy. The interior features a luxurious king size bed, french press coffee and tea making facilitues, minibar and built-in ceiling speakers. The bedroom is air-conditioned (in addition to a ceiling fan) and features wooden louvres and large panels of glass to maximize the light and ocean views. The Royal Retreat can accommodate up to two adults in one king bed. Please note that the Royal Retreats is for adults-only and is not able to accommodate infants or children of any age.